My first challah! I’ve always wanted to try baking this bread and it’s been on my list forever, but you know how it is….that is a long list! Plus what ends up happening is that I often bake the same breads over and over since I do have my favorites. This recipe was based on the Real Baking with Rose’s blog post. Rose uses biga to extend freshness and bumps up the oil to add softness. I followed her recipe as a guide but my first loaf overproofed and so I cut back on the yeast for the subsequent loaf. 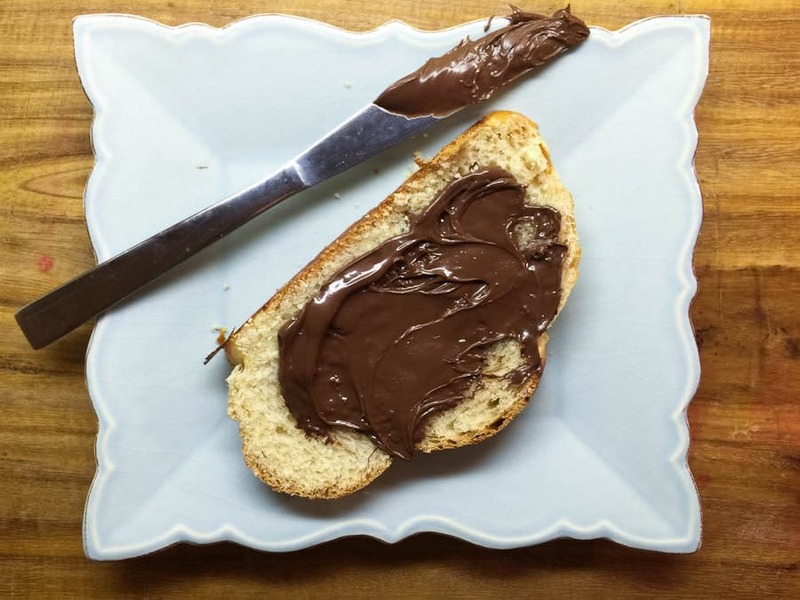 This bread is veryyy good as a base for French toast, and it was also great with a smear of nutella! But as I mentioned above, I did end up making some changes in yeast and salt measurements, I used old starter instead of biga (because I already had starter on hand), I used sugar in place of honey (just easier/less messy for me), and I used King Arthur bread flour in place of Gold Medal (again, that’s what I had on hand). The loaf is supposed to be tapered on both ends (ie, football shaped) but mine fell a little short. Next time, I definitely plan to try this 6-strand braid using the tutorial by Maggie Glezer on Fine Cooking. My changes (note to self): 1.5 teaspoons of instant yeast, 1.5 teaspoons of salt, 3 tablespoons of sugar instead of honey, and old starter instead of biga. (I highly suggest you follow the original recipe on Rose’s blog (linked directly under photo above). 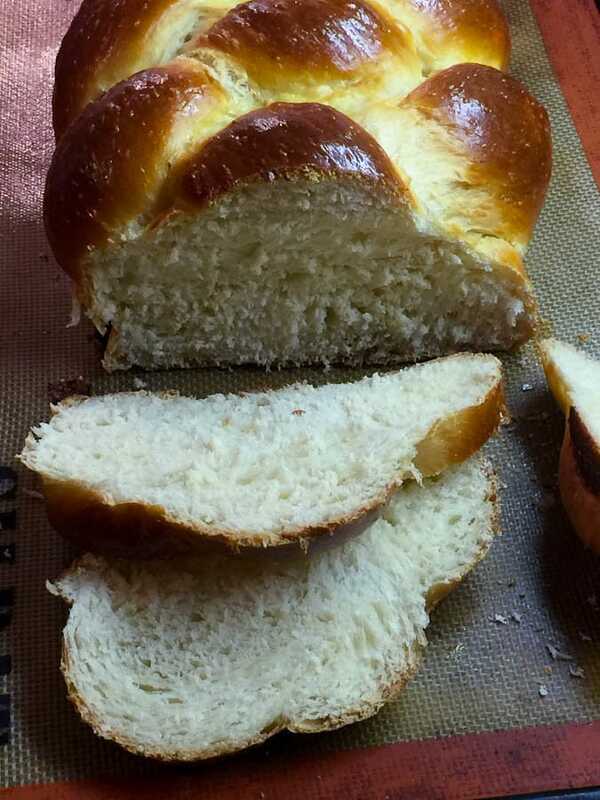 Boy, are you a good bread braider! Say that three times fast. Bread braider, bread braider…. Anyway, your loaf looks delicious, so fluffy and beautiful. Great post. LOL – I don’t think I can! Thanks for the kind words. I looked at the same Maggie Glezer video and had the same reaction: next time for sure! Hi Marie – Maggie Glezer does a great job doesn’t she? But I was thinking if using the bread for french toast, I may even use a loaf pan assuming it’s big enough to hold the loaf. 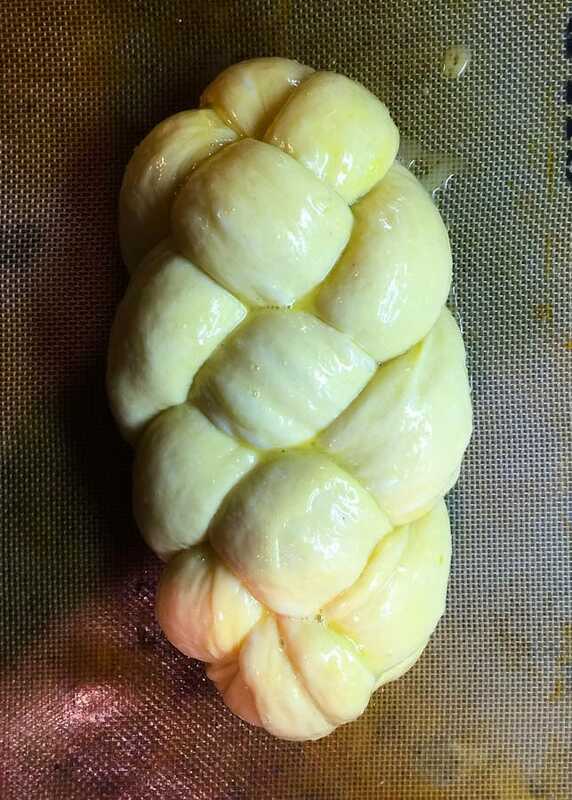 Nice challah Marie! You got just the right amount of rise before setting up in the oven! I love Rose’s recipes! 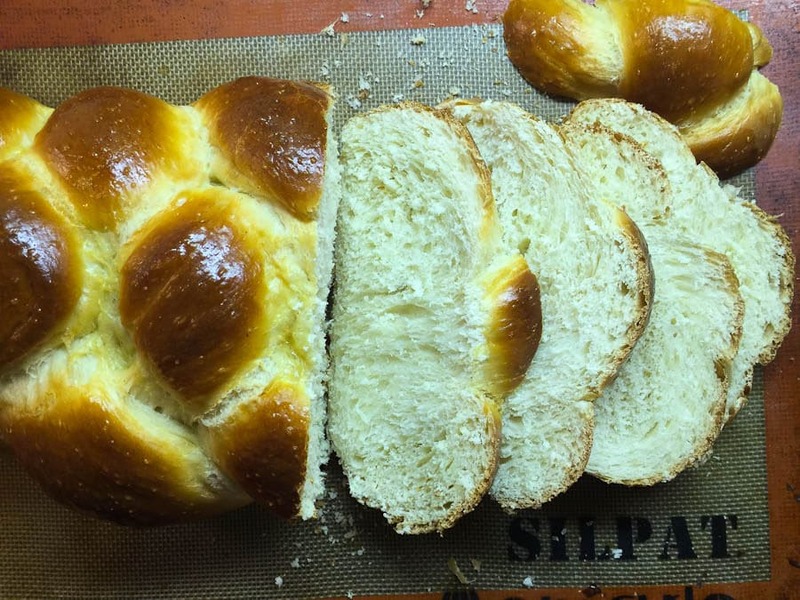 Your challah turned out perfect! What a beautiful braid design. Nice crumb, too. Well done!